Raspberry plant growing shrub‎ of the genus Rubus, Raspberry plant perennial deciduous plants but the branches are biennial they bearing fruit after two years and then new branches replace and bear fruit after two years, can grow in temperate, subtropical or mediterranean climate and growing in hardiness zone 4-10. Flower color white or purple flower 1-3 cm, with 5 petals grow in clusters. 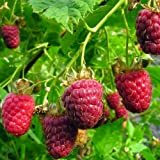 Fruit color can be: red, blue, purple, black, yellow (golden), when pick the raspberries fruits the fruits are going out and the torus stay on the branch, fruit assembled from small cells that put together a round shape (circle / oval). 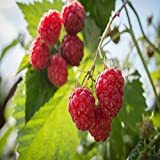 What can be done with big quantities of Raspberry plant fruits? How to make Vegetative Reproduction in Raspberry plant? 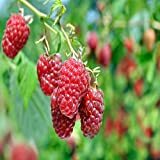 What is the treatment for vegetative reproduction in Raspberry plant?